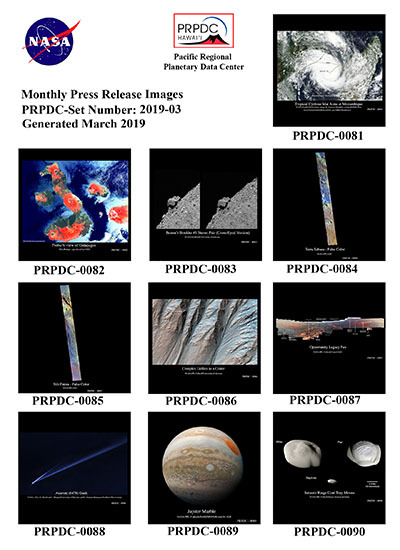 The PRPDC now produces a set of ten images each month which highlight some of the most visually-stunning planetary images. You can download full resolution .tif versions of the March 2019 images from the list below. To see earlier selections, click here.